And so the realisation begins at the tender age of 5 that life isn’t fair. It is hard for any child to understand why a brother or sister appears to be treated differently or seems to get preferential treatment. Sometimes that can be explained away when there are large age gaps between siblings, or different parentage or illness. But when the inequalities of life are so obvious even within a set of twins it makes understanding the concept of fairness even harder. I have been thinking of how to answer my daughter’s questions long before she has had the understanding to voice them. 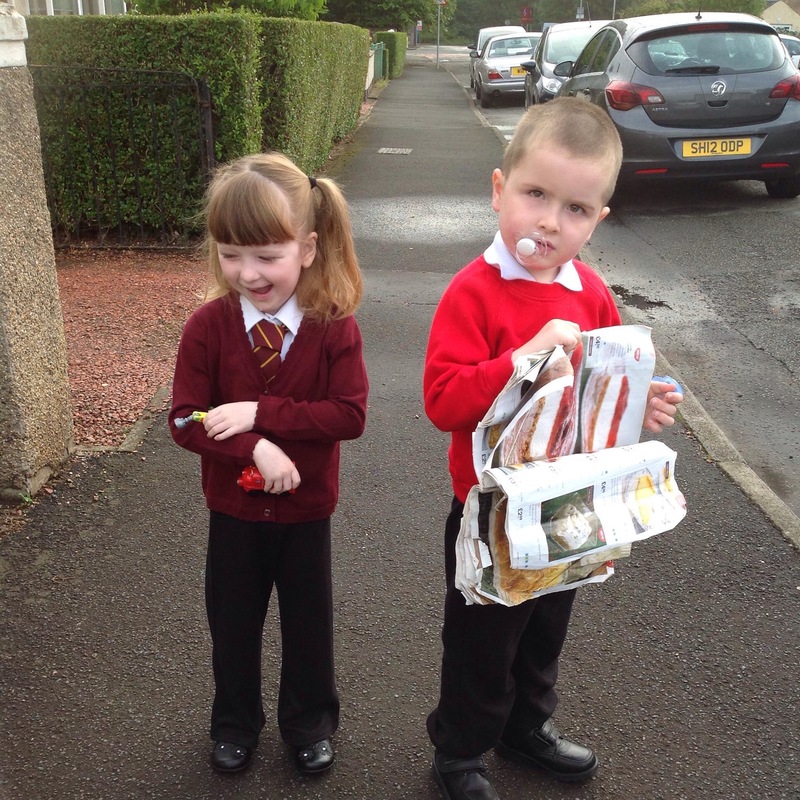 I remember begging a nursery head teacher almost three years ago at this time to make every effort to ensure both my children were photographed together in the nursery even though they were in different classrooms. Plans were already being made to move one of the twins out of mainstream nursery and into specialist provision and somehow I already knew this was the start of their long term separation. Despite huge difficulties even getting Isaac into the room that lady moved heaven and earth for my dream to come true. I remember saying then I had this uneasy feeling it would be the last time my twins would ever attend the same educational setting and be able to be photographed together. Although, due to a house move, 12 months later they did manage to once again attend the same nursery temporarily they missed the annual photographers visit and so this photo means so much to me. It was the end of life being fair for my babies. Because of his complex needs Isaac moved on from his additional support needs nursery placement to a school for children with complex needs. Whilst his twin sister remained at nursery for an extra year. It didn’t seem fair that one four year old had to travel alone in a taxi with strangers while the other got to go in a bus with other children. 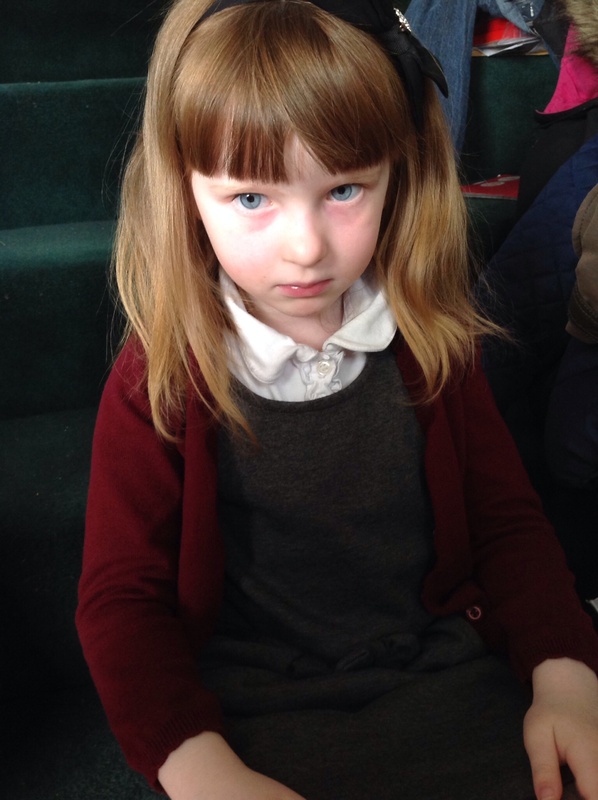 It didn’t seem fair that one four year old had to be out of the house for 7 and a half hours 5 days a week while the other only had nursery for a few hours a day. It wasn’t fair that one child got so much time with mum and dad while the other came home so tired he fell asleep before his dinner was even made. On the other hand while one 4 year old with autism was getting intense 1-1 support, horse riding, the use of a school hydrotherapy pool every week, weekly trips to the school soft play and sensory room and use of interactive TV and an iPad the other was mostly playing trains, going to the park or playing with her dolls house. 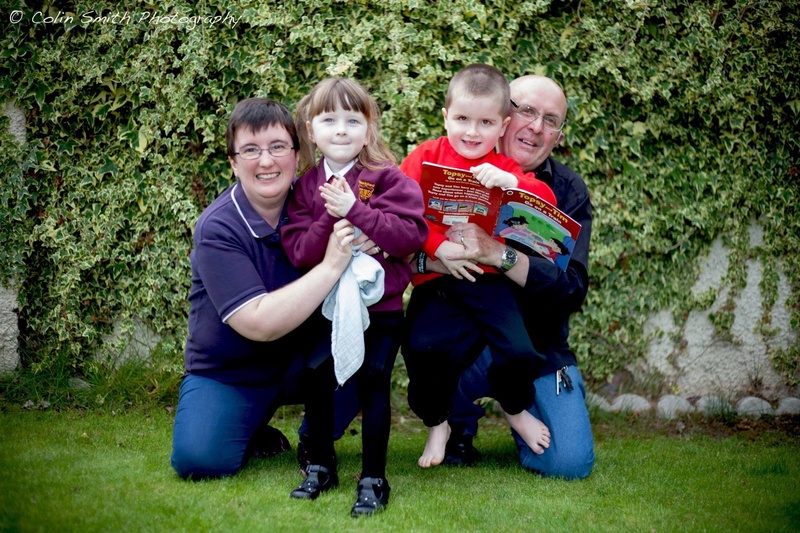 Both children born to the same parents on the same day and both diagnosed with autism yet both experiencing life so differently. They were just too young to notice or care. But now since starting mainstream school herself we are starting to get more questions from our daughter. She has a ‘thing’ for rules and equality and fairness. So why does her brother not get homework while she does? Why does he get to do so many ‘fun’ activities at his school while she has to do so many ‘jobs’ at hers? Why? Why? Why? I could go into a long explanation about how he requires so much more in order to be able to support his learning. I could explain how the spectrum of autism is so wide and how that means some children need all sorts of intense experiences to help them to communicate and understand the world and how she is able to understand things without needing all these things. I could explain how we never chose for life to be like this and we would like nothing more than for them both to be at her school and doing the same work. I could talk to her about how her brother is non verbal while she is very verbal so he needs much more support and help to be understood. 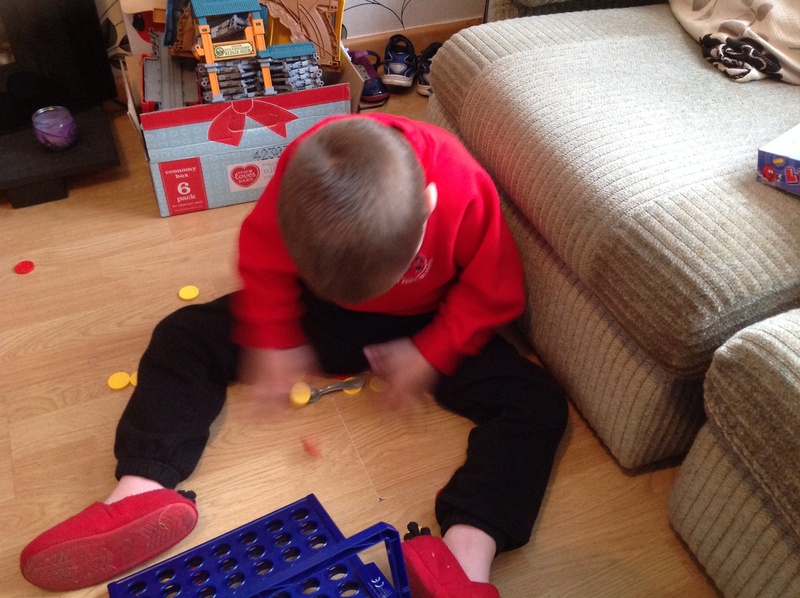 I could explain his Neurofibromatosis to her, or talk about his global developmental delay, or how he is still wearing nappies, or even say how he isn’t ready to learn and do all the things she is doing in school. But I just couldn’t manage to explain all that in a way that would hold a five year olds attention or in a way that would make her feel just as special and loved as her brother. So for now I took the easy option. I just said that life isn’t fair and sometimes it can seem like some people get all the good things and others get lots of hard things. But God sees it all and loves us all equally. And mummy and daddy think both her and her brother are equally special even though they are so different. She seemed to accept that. I can’t make it right for either of them. And the harsh reality is that one will always need more resources, input and support than the other twin. As they get older the differences will only increase. In time I will be able to explain and talk to my daughter more. And tonight will not be the only night when they only things that will be fair will be my time and my love. I worry for the future. What parent doesn’t? I booked my kids first ever proper birthday party today. A small affair in terms of what the play centre are used to but a massive leap for us. I used to worry that my children would never have a birthday party, or even understand what birthdays are. Now I am worried none of the children we invite will come. Will my twins notice? One of them might but the other still has no idea what parties or presents or cards are all about. That worries me. He will be 6 in a few weeks time. It worries me that he is still in nappies. It worries me that he still has no speech. It worries me that he still can not dress himself, comb his hair, respond to his name, read, write, jump, paint, wash himself, ride a scooter or a bike, understand instructions or use cutlery…all skills other children his age take for granted. The lady booking the party asked me what 4 things the children would like to eat at their party. She gave us a choice. I asked one of my children and as I looked at the other one a silent tear ran down my cheek. It was unexpected. It was out of character. I try not to cry in public. But at that very moment reality hit me: my son is almost 6 and I can’t even so much as ask him what he would like to eat! He never even came when I called him. I shouldn’t be with them in a soft play centre; not today. Today is Sunday and on Sunday we go to church. What on earth was I doing on my own with 5 year old twins, nappy bag still in hand, in a soft play centre on a Sunday morning? This wasn’t how it was supposed to be. They should be in Sunday school hearing stories from the Bible, making crafts for me to treasure for years to come and singing choruses. I should be listening to inspirational teaching, having fellowship with friends and worshipping God. The reality is I just could not face it today. In soft play (at least as quiet as it is on a sunny Sunday morning not long after it opens) we are ‘normal’. The changing rooms are through the same door as the toilets so no-one has to know I am still going to the ‘baby room’ with children more than half my height. As my son buries himself in the ball pool no-one sees that he is licking them all and flicking them in the air to see the shadows they make as they fall back down. The noise of other children playing and the music drown out his squeaks and squeals and the noise of him flapping his arms against his chest. Lots of kids take off their socks even when they are not supposed to so he sort of gets away with that too. But once we leave reality hits once again. I have to lift them both into their car seats. I have to strap them both in. I have to type the pass code into his iPad because he still has no concept of numbers or what to do. The entire way home (thankfully less than ten minutes) I hear just one word, and it isn’t from the lips of either of the children! Isaac has found an application with numbers that if you press them the name of the number is said…again…and again…and again. It could be animal names, names of people, letters, anything really. He just likes the sound. 2,2,2,2,2,2,2,2,2,2,2,2,2,2,2,2,2…….this is today’s ‘sound’. It may be tomorrow’s too. And for the rest of the week. Perhaps even the week after too. He has no concept of what it means, he isn’t going to repeat the sound or even start to write the number…it is just a noise repeated over and over and over…until you feel sick and want to throw that awful thing in the bin. The reality is it is THE only thing that he will do for any length of time. And I mean even a few minutes. Other that eating it is the only time he sits still. So the iPad has to stay…2,2,2,2,2,2 included! I worry what he will find to do tomorrow. I worry that one day there will be no red school jumper in his size for him to wear. I worry how I will continue to lift him in and out the bath, in and out of car seats and his buggy as he continues to grow and get heavier by the day. I worry that he might never ever speak. I worry how people will look after him. I worry I might one day be changing nappies on a teenager or grown man. Right now I am wondering if he even cares about having a birthday party or if he would be happier alone in the play centre licking the balls and flapping his chest. Then I smile knowing if nothing else he will love his chocolate birthday cake and whatever the meal is he will eat it like I haven’t fed him in the last 6 years. Reality hits: I have a beautiful boy and he has made it this far. Whatever the future has we will get through it together. I booked him a birthday party today and there was a time I never thought that would happen. That is the reality of life with disability: knowing there is still a long long way to go, but knowing you have come a long way too. Something about the ‘stay at home mum’ got lost on me this week. I was hardly home at all. One meeting was followed by another meeting, followed by phone calls and emails. I am so grateful for having people involved in my children’s lives. I appreciate the work my children’s schools do and the professional involvement that they both have. But it is a stark reality that having two children with additional needs with two separate teams of professionals and two different school to deal with often means a whole load of meetings. Add to that medical issues and everyday appointments like dentists, opticians etc and I once again realise why I am often more of a carer than a parent. The reality is that meetings are necessary. I can not raise these children alone. I have had to ask for help. We have speech therapists, educational psychologists, social workers, occupational therapists, doctors, paediatricians, nurses, support staff, teachers, head teachers and carers all involved with the children. And they all need to know when things change. Then there is church too. After almost six years attending crèche the ti me has come to discuss how we go about transitioning the twins into Sunday school in church. While other families just take their child to a different room one week, perhaps stay for a short time and then leave them, it isn’t that simple for me. So I had to have a meeting. The children need social stories, photographs of staff, visual timetables and lots of discussions about to manage behaviour, communication and anxiety. Now school has returned and there are new teachers to work with, new support staff and medical issues to sort there has had to be meetings with both schools. I have had discussions with teachers, head teachers, support staff, seen where one of the children will be changed and sorted through lots of minor issues and misunderstandings. The transitions to new classes and starting school has been hard on the children. It has involved panic attacks, self harming, screaming, and a whole lot of tears. Only one of the children has the ability to tell me what has been going on. We needed meetings and phone calls to help sort out a whole page of difficulties for one child and meetings to sort out ‘unknown’ difficulties with the other child. School has brought with it such an intensity at times and family life has been very hard. While that is often just something families need to go through and you know it will sort itself out, when your child has a disability you have a duty to keep professionals informed in order for them to best help and support. No parent can have their child self harm or have daily panic attacks and just ignore it. We had some teething trouble with transport. Lots of phone calls later and that seems to be more stable. We have had challenges with homework in a house where both children require 1-1 at all times. The balancing of needs is turbulent at the best of times but add homework into the mix and the storm hits with full force, from both children. So this needed discussed with school too. Care plans needed updated, medical issues have needed addressed and sensory needs monitored. And it all involves lots of discussions and meetings. At times it really has felt like the second one of the children cried we would be having yet another meeting. Sometimes it would be nice to just get on with family life. It would be lovely to have privacy and not have to keep discussing daily how we will deal with today’s struggles and tomorrow’s worries. It would be wonderful to not have to read school diaries and feel the weight of concern when you read ‘they had a bad day today’. But I have to accept that if my children have support then in turn I lose something of myself. I lose my time, my privacy and some of the confidentiality of family life. My children lose a lot of that too. In order to help there has to be meetings. People have to know when my children are in pain, highly anxious or upset. We do need to share sensitive information with others like when they have had bowel movements or what they have eaten. It has to be recorded for their health and well being. Sometimes that just upsets me. It can feel like an infringement of privacy at times but sadly for everyone these things need to be shared. But can I tell you that today my kid cried. And I just dealt with it. No-one else will know why and there will be no meeting. Because in all these discussions my family still needs respect and privacy. Just because my children have extra needs does not mean everyone has to know everything. Help us, don’t suffocate us. Disability can seems so negative at times: Professionals discuss what your child struggles with, doctors talk about what is ‘wrong’ and disability forms focus on all the things your child is not able to do. Education, health and social work see your child’s needs as ‘costly’ and therefore we have to fight for everything. Is it any wonder so many parents of disabled children struggle with depression and lack of enthusiasm? I could easily join them. The lack of sleep, constant phone calls and paperwork and a diary full of meetings could steal the joy from me. 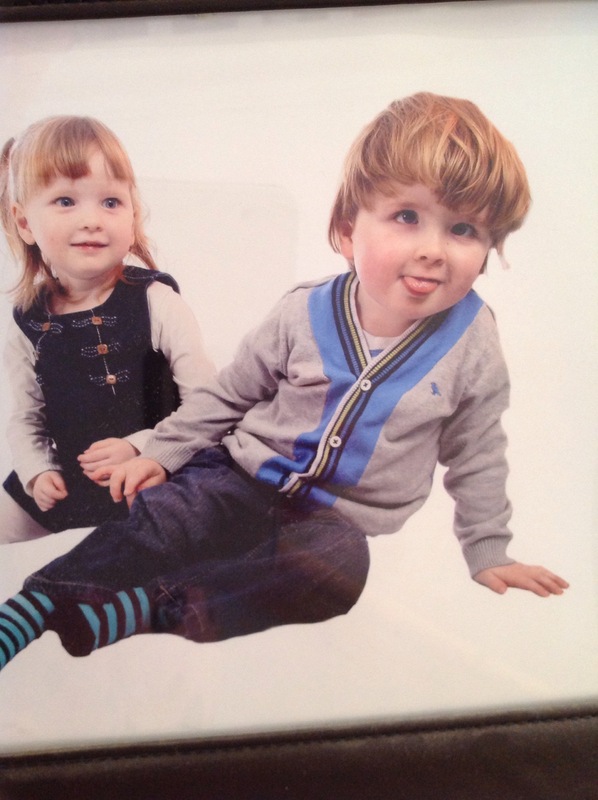 The fact my almost 6 year old son has no speech and both him and his twin sister are still wearing nappies could have me begging my doctor for antidepressants. I could grieve for the children I dreamed of having. I could get bitter and angry at the injustice of it all. I could spend my days hiding from the world hoping all the children’s difficulties will disappear if no-one sees them. But I can not go there. I have to keep my head above the water; for my sake and for my children’s sake. I am not writing this to make people think that disability is wonderful, nor am I writing this to make those who are struggling with the reality of life feel even worse. I am writing this for me: because I need to hear this everyday. On the days when I could run away, the days when my son screams endlessly and self harms, on the days when it seems we are getting nowhere fast. Even on those days there ARE positives. It is just harder to see them in the daily grind that is looking after children who require much more time and attention than others. Benefit number 1: My heart is much more compassionate because I live with disability. Not only is my heart more compassionate but so is my 5 year old daughter’s. She recently started school where two of the children in her class only speak Russian. There is no interpreter and naturally the children are struggling. Where other children are finding it challenging to understand the frustration and problems these children face my daughter has been a real friend to them holding their hand and sharing with them and communicating love without words. She struggles herself with severe anxiety and living with a non verbal brother she has had to understand the importance of non verbal communication so well. Her brother has taught her that love needs to words. Before I had my children I thought I was a decent person. But there is something so humbling about facing a struggle yourself that opens your heart to others who are also struggling. Their struggle may be so different from yours but you understand that need for others to support you and help you. Living with disability opens your eyes to a non perfect world full of others struggling along too. And it opens a door into their lives because you can say ‘I understand’. And that is precious. Benefit number 2: I appreciate life because I live with disability. When you suddenly need health services and therapists, support workers and social workers, when someone else is willing to change your child’s soiled nappy for you; you learn true gratitude. Yes there are times when we have issues with professionals and we disagree on the best way forward. But the fact they are there to disagree with in the first place is such a blessing. My children could have been born into a country with little resources to support them and no suitable education available to meet their needs. Things may not be perfect but everyone who plays a role in my children’s lives suddenly becomes an angel to me. I appreciate feeling the wind and rain on my skin because there are families so much worse off than me for whom their disabled child is in hospital right now unable to feel that rain. I realise how blessed I am daily when I am in a world surrounded by children for whom every day is precious. Hearing of a child in my sons school getting ‘star of the week’ for simply opening his eyes is something that deeply affected me. Who am I to complain? I got to kiss my children good night tonight and that is precious. Benefit number 3: I understand hope because I live with disability. I used to think hope was dreaming of getting a well paid job and marrying someone tall, dark and handsome. Hope was looking for a better future and the positive feeling that things would always get better. But when you live with disability hope goes much deeper. Hope for me is seeing my son struggle daily to try and communicate without speech but still in the midst of that believing one day he will be able to say real understandable words. 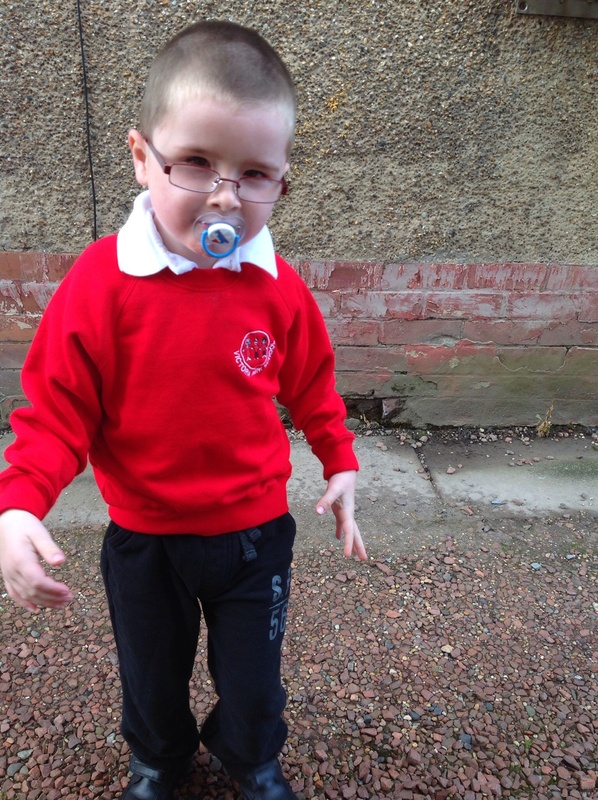 Hope was hearing doctors say they had no idea when my son would walk but buying him shoes to wear knowing one day he would have them on his feet when he walked in the garden. Hope right now is buying a t-shirt in his size in anticipation that one day soon he will want to wear something other than his beloved red school jumpers. Hope is never giving up. Hope is believing my children can achieve and stirring others into that confidence too. Hope is precious. I could write so many more benefits. I could talk about all the amazing families I have met through being catapulted into the realm of disability. I could mention the charities who have supported me and how this has changed my entire outlook on giving to others. I could talk about how my circle of friends has increased greatly through having disabled children, how having disabled children has helped me be a better, more emotional writer. But these are all for another blog. And another day. I just want you to know that even when things are so tough and real issues scream at you in the face daily, there is always hope. We can appreciate life and open our heart to others. My children are making me a better person. Even in their struggles there are so many benefits to living with disability. I just need to remind myself to keep on looking for them daily.